Over the years Mark has taken his professional development seriously and it would be difficult to find a person more qualified in the industry. To learn more about what we can do, please call us on 01379 852 950. 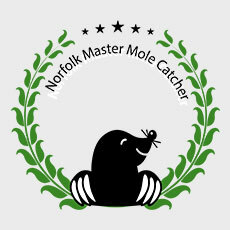 Norfolk Pest Control Services is owned and operated by Mark Cotton. Mark’s 36 years in the pest control business means he’s pretty much seen and done it all - so any pest issue you’re facing Mark can find a solution. Mark Cotton also supports the CRRU Campaign For responsible Rodenticide and is fully insured and CRB checked. To talk to Mark and learn more, get some pest control advice, or ask for a quote – call 01379 852 950 or 07806 875 985.